What is a Spell and Can You Cast One for Me? I thought some of my readers might be interested in this topic. It relates to #Druid or Celtic #magick, #wicca, psychic powers, #shamanism and other Earth-based esoteric disciplines and beliefs. This is the latest radio show by Melodi Grungy, my friend from Ireland, the hostess of Cat’s Eye on the Future show on TIME MONK RADIO. Melodi interviewed me on three occasions so far. You can find all my interviews with her and with The Plane Truth show in the new INTERVIEWS playlist on Lada Ray Channel. All future interviews will be added to that playlist. Incidentally, Melodi and I are planning a new interview about EMPATHS as soon as the Time Monk producer is able to record it. Since both Melodi and I are very powerful empaths, we will talk about what this means, how the world is seen by empaths, the cosmic role (destiny and karma) of an empath and how to protect yourself if you are one. That should be either late June or mid-July. We are also planning the interview about the Grigory Rasputin mystery: the real truth surrounding his historic role, life and death. This will be a show tieing together esoteric and material, history and geopolitics, humanity’s future and cosmic/alien consciousness. This interview will be in part based on my book The EARTH SHIFTER, where I talk about Rasputin, and in part, on my upcoming EARTH SHIFT REPORT, The Putin Enigma. It’s coming in August or September, 2015. Incidentally, Melodi is also a well-known psychic card reader. I just had a fabulous, hour-long reading with her via Skype (thank you, Melodi!). It confirmed some things I foresaw myself, as well as predicted certain events, some of which have already taken place. Those interested, please check out Melodi’s site: melodigrundy.wordpress.com, or find Melodi on Facebook (I personally don’t do Facebook, although I know many of my readers and listeners do). Follow TimeMonkRadioNetwork to keep on top of their shows! Follow Lada Ray Channel on YT. Lot’s of new videos coming! My books are here, including buy links and excerpts! Check out the consistently top-rated EARTH SHIFTER! 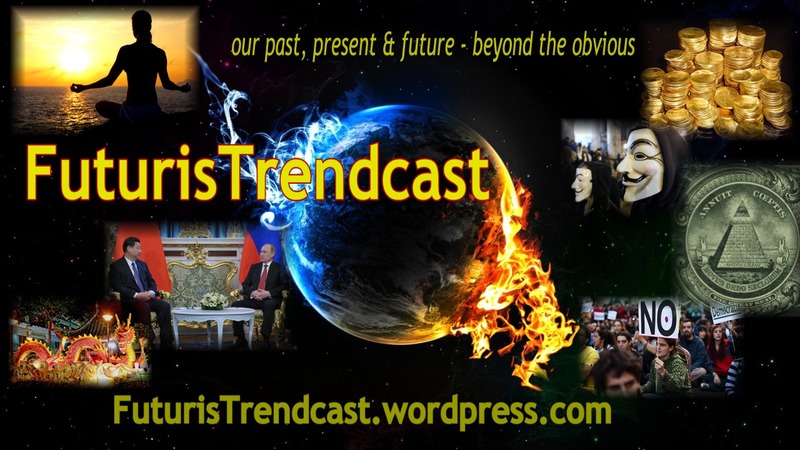 Most news and interaction happen nowadays at my other blog: FuturisTrendcast. Come over, subscribe, join the party! My Interview: How Calibrations and Chi Work. Who are Lightworkers, Earth Angels, Empaths? Who are Earth Shifters and Earth Keepers? ≈ Comments Off on My Interview: How Calibrations and Chi Work. Who are Lightworkers, Earth Angels, Empaths? Who are Earth Shifters and Earth Keepers? This is part 2 of my interview with Cat’s Eye on the Future show on Time Monk Radio. We discuss how Calibrations of Human Consciousness and Chi work. Who are Lightworkers, Earth Angels, Empaths? Who are the mysterious Earth Shifters and Earth Keepers? This interview has a unique audience participation format. If you found the material presented interesting and thought-provoking, and if you have questions, feel free to ask them in the comment section, or leave a comment on YouTube. We will choose the best questions and create a show in which these questions will be answered. This show will be posted either on TimeMonkRadio, or on Lada Ray Channel (to be decided). Find Part 1 of this interview here. You’ll also be able to find both parts, together with all other past and future Lada’s interviews, on the INTERVIEWS page. Sub to the TimeMonkRadioNetwork to follow all of their offerings. We are planning more interviews with The Plane Truth and Cat’s Eye on the Future in the months to come! Wishing MERRY CHRISTMAS to all my readers!